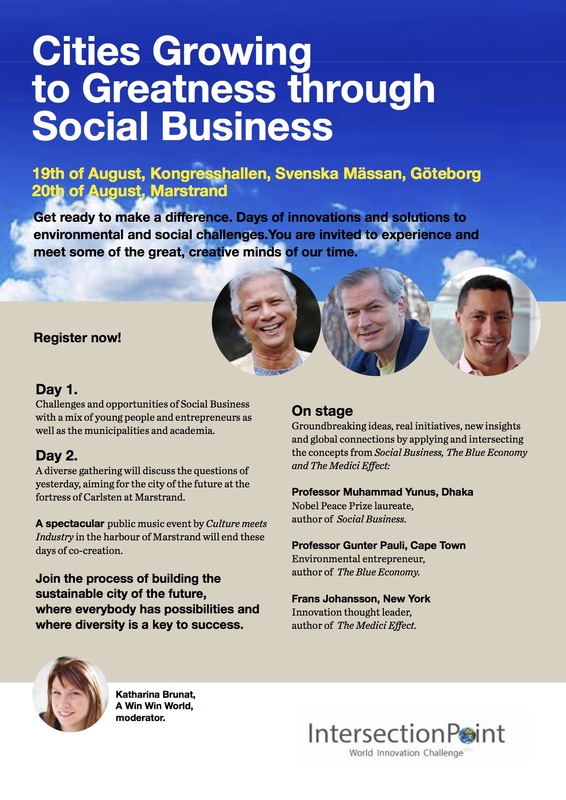 Welcome to World Innovation Challenge 2015 - Cities Growing to Greatness through Social Business, August 19-20th in Gothenburg, Sweden. Get ready to make a difference. Two days of innovations and solutions to environmental and social challenges.You are invited to experience and meet some of the great, creative minds of our time. Join the process of building the sustainable city of the future, where everybody has possibilities and where diversity is a key to success. Day 1. Challenges and opportunities of Social Business with a mix of young people and entrepreneurs as well as the municipalities and academia. Day 2. A diverse gathering will discuss the questions of yesterday, aiming for the city of the future at the fortress of Carlsten at Marstrand. 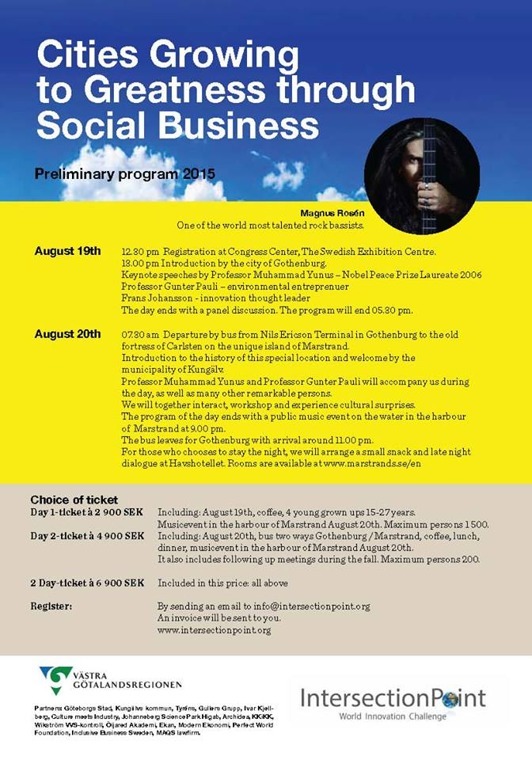 A spectacular public music event by Culture meets Industry in the harbour of Marstrand will end these days of co-creation. Nobel Peace Prize laureate, author of Social Business. Environmental entrepreneur, author of The Blue Economy. Innovation thought leader, author of The Medici Effect. Climate Reality Leader and Co-founder of A Win Win World. Free entrance for everyone aged 15-27 years!